“First it sleeps, then it creeps, then it leaps” is an old farmer’s adage about plants that require a little extra patience, like climbing hydrangeas. Slow growing the first few years, once established, climbing hydrangeas can eventually cover an 80-foot wall. Native to the Himalayans, climbing hydrangeas have adapted to grow up trees and rocky slopes. But if you have a climbing hydrangea not climbing, what do you do? 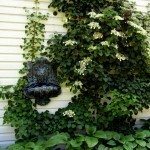 Read on to learn more about attaching climbing hydrangeas to support and getting climbing hydrangeas to climb like they’re supposed to. Climbing hydrangeas climb by aerial roots that stick to surfaces. Climbing hydrangea attach best to rough textured surfaces like bricks, masonry and tree bark rather than climbing along trellises. However, they do not cause any damage to buildings or trees they climb, other than leaving behind a sticky residue. 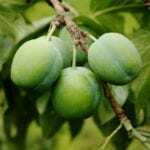 Since they like part shade and specifically afternoon shade, they will grow best on a north- or east facing-wall, or up large shade trees. Getting climbing hydrangea to climb up trellises, arbors or other supports is possible as long as the support is strong enough to hold up the heavy weight of a mature climbing hydrangea. Wooden trellises, arbors, etc. are easier for climbing hydrangea’s aerial roots to attach to than vinyl or metal. Climbing hydrangea will outgrow most trellises in time, but they can be helpful with young climbing hydrangea training. Climbing hydrangea can also be used as a groundcover for rocky slopes. If you have a climbing hydrangea not climbing, it may just be too young and putting all its energy into root establishment. It may also be having a hard time attaching to the support you are trying to get it to climb. You can give it a little help climbing up trellises, arbors and such by loosely tying stray branches to the support the direction you want them to grow. When attaching climbing hydrangeas to support, use a soft but strong material like cotton string, twine or nylon. Never use wire to attach any plant to anything, as the wire can seriously damage stems and branches. 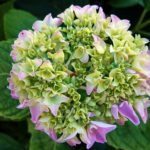 Read more articles about Climbing Hydrangea.